Fresh herbs add a distinct flavour to your meals and can be used in stews, salads, rubs and even medicine. 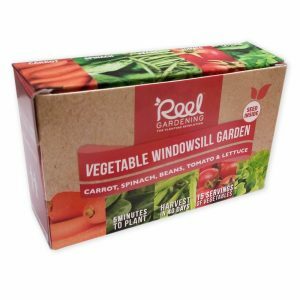 Wouldn’t it be great if you were able to easily grow and get a fresh and organic supply of them from your garden? 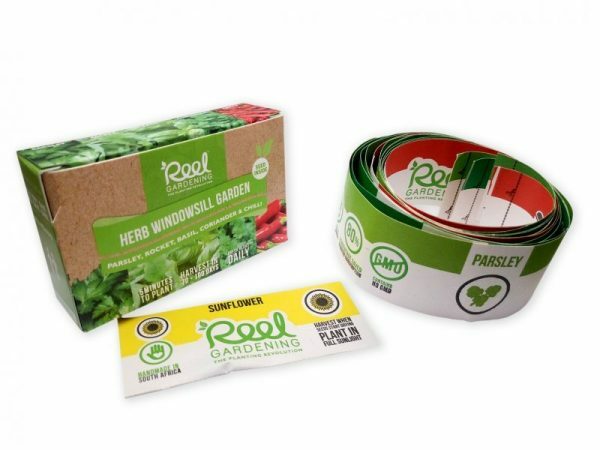 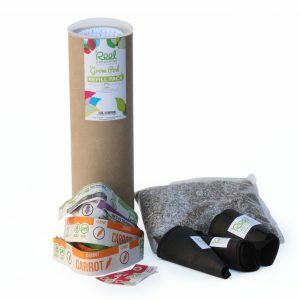 Reel Gardening sources the best non-GMO seed for our patented and handmade seed tape. The seed tape anchors into the soil each herb variety at the correct depth and the correct distance apart, so that you don’t have to figure it out yourself. 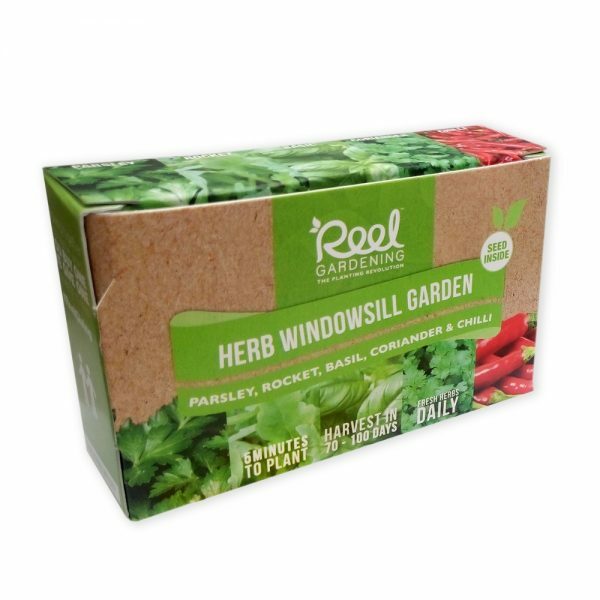 Our Herb Windowsill Gardens In a Box are packed with carefully selected herbs that are easy to grow and are packed according to companion planting principles. 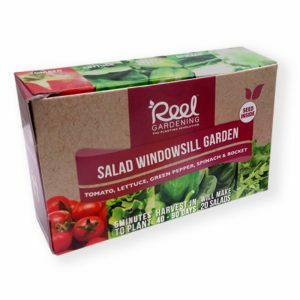 Additionally includes companion planting flower sachet. 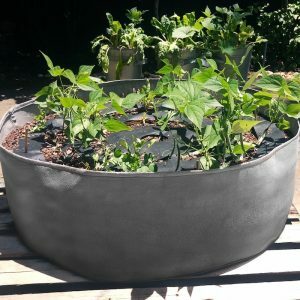 Will plant an area of 1m² and is ideal for pot planting!